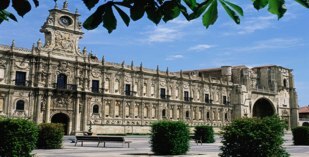 A 3 hour drive (320kms) from Santander and you will reach your first hotel – the 4 star Parador of Benavente in a 12th-century royal castle. A further 3 hours drive (335kms) and you will find your first Portuguese hotel. Originally a 19th century hospital, it is now a beautiful hotel and spa. Two hours’ away (220kms) is the stunning medieval walled town of Obidos. This Pousada enjoys a prime position in the town’s medieval castle. In just over an hour (90kms), you can be in the oldest capital city in the world. The stunning Pousada of Lisbon is on one of the city’s main squares. The medieval town of Braganca is just one hour away (108kms). Stay in the Pousada with its panoramic views over the city.